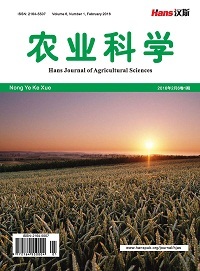 To investigate the seasonal variation of Eucalyptus soluble protein and two enzymes related to ni-trogen metabolism, it would provide theoretical basis for improving the utilization rate of nitrogen and increasing the yield. 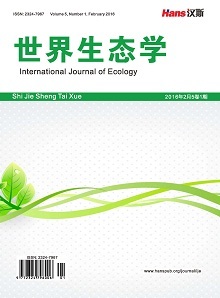 The experiment made a preliminary research on nitrogen’s nutrition of Eucalyptus in different seasons, determinated the change of soluble protein content, glutamine synthetase and glutamate synthase activity of Eucalyptus leaves in different seasons that related to nitrogen metabolism. 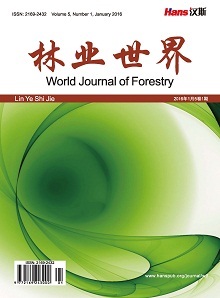 The results showed that: 1) The soluble protein content of Eucalyptus leaves showed seasonal pattern obviously, which was closely related to meteorological factors and phys-iological metabolism of Eucalyptus. With the growth of Eucalyptus leaves, it would increase the content of soluble protein. In the autumn nitrogenous compounds of leaves could transfer and re-distribute the content of soluble protein. 2) The activity of glutamine synthetase of Eucalyptus leaves was mainly related to the transfer and redistribution of the nitrogenous compounds. 3) The activity of glutamate synthase was related to the transferred and distributed of nitrogenous com-pounds, which played a synergistic role with glutamine synthetasein in the GS-GOGAT pathway. It was concluded that the Eucalyptus was in the rapid growth period in spring for a greater demand for nitrogen. The increased of nitrogenous compounds of Eucalyptus leaves, increased the activity of glutamine synthetase and glutamate synthase. The nitrogenous compounds in the leaves of Eu-calyptus were transferred and redistributed under the regulation of the enzyme in autumn, the storage of nitrogen decreased. 陈慧洁, 郭朦朦, 冯丽贞, 等. 桉树叶片双向电泳体系的建立及优化[J]. 福建农林大学学报: 自然科学版, 2015, 44(1): 46-50. 马松亚, 蒋维昕, 屈林丰, 等. 桉树无性系叶片蛋白质组双向电泳体系优化[J]. 中南林业科技大学学报, 2016(4): 45-50. 曹继钊, 农必昌, 唐黎明, 等. 广西桉树人工林配方施肥技术应用示范效益研究与评价[J]. 广西林业科学, 2010, 39(3): 136-139. 李小方, 张志良. 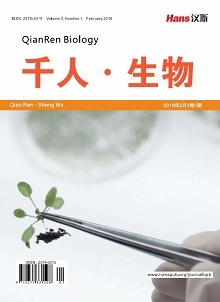 植物生理学实验指导[M]. 第5版. 北京: 高等教育出版社, 2016. 金正勋, 钱春荣, 杨静, 等. 水稻灌浆成熟期籽粒谷氨酰胺合成酶活性变化及其与稻米品质关系的初步研究[J]. 中国水稻科学, 2007, 21(1): 103-106. 熊丹. 水稻灌浆期弱光对籽粒氨基酸积累及相关酶活性的影响[D]: [硕士学位论文]. 雅安: 四川农业大学, 2012. 李善淇, 郑海水, 肖文光. 杂种桉幼林年生长规律的探讨[J]. 桉树科技, 1980(2): 10-16. 王改萍, 彭方仁, 李生平. 银杏叶片蛋白质含量动态变化的电泳分析[J]. 南京林业大学学报: 自然科学版, 2006, 30(4): 114-118. 郭红彦. 银杏营养贮藏蛋白质的分离鉴定及特性研究[D]: [硕士学位论文]. 南京: 南京林业大学, 2007. 徐志文. 水稻氮素代谢酶活性的杂种优势研究[D]: [硕士学位论文]. 兰州: 甘肃农业大学, 2009. 韩娜, 葛荣朝, 赵宝存, 等. 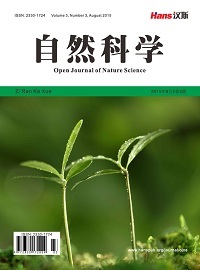 植物谷氨酰胺合成酶研究进展[J]. 河北师范大学学报: 自然科学版, 2004, 28(4): 407-410. 李常健, 林清华, 张楚富. 高等植物谷氨酰胺合成酶研究进展[J]. 生物学杂志, 2001, 18(4): 1-3. Machado, A.T., Lvrgalhaes, J.R., Lvrgnavaca, R., et al. (1992) Activity of Enzymes Involved in the Nitrogen Metabolism in Different Maize Genotypes. Revista Gbrasileira de Fisiologia Vegetal, 4, 45-47. 阎桂萍, 马凤鸣. 甜菜氨同化途径的研究[J]. 东北农业大学学报, 1999, 30(4): 318-323. Hayakawa, T., Nakamura, T., Hattori, F., et al. (1994) Cellular Localization of NADH-Dependent Glutamate-Synthase Protein in Vascular Bundles of Unexpanded Leaf Blades and Young Grains of Rice Plants. Planta, 193, 455-460. 梁成刚, 陈利平, 汪燕, 等. 高温对水稻灌浆期籽粒氮代谢关键酶活性及蛋白质含量的影响[J]. 中国水稻科学, 2010, 24(4): 398-402.